Need some help how to pick music for a balletclass? Picking the right music can be a hassle and a time consuming job. But with these five handy tips, you are going to save some time. And find the right music in no time. How old are you students? How old are the people in your target group? Or what ages are the students you want to find music for? This is important because every age group is different. Small children and (babies and todlers) and the elderly cannot sustain high-pitched or really low basid tones. These tones do not fall easy on their hearing. So try to avoid these types of music for these groups. With teenagers you are fine with a low base and loud music. There are also some mental and emotional aspects to consider to each age group. Toddlers and teenagers will not be happy with opera music. The elderly not be happy with techno music. As you can imagine. So delve into the imagination of your age group, and choose your music wisely. Beginners need music with a steady beat and a simple melody to follow along. Take music with a single instrument, like a piano. For intermediate, you can use music with some more instruments. But still with a good beat and melody for them to follow. This will enhance the way they perform the movements. You’ll see. Advanced level students can have more challenge in the music as in the steps. Go ahead and use more instruments, melodies and beats. Variation keeps them stimulated and engaged. And mastering the steps and the advanced music will be a nice challenge. Small children will not be happy with hearing opera music. Beware! What type of dance or excercise? We already established that you are doing ballet. But within te balletclass there are a lot of different movements, steps and even dances. For instance, an adagio, a waltz or a grand allegro. Each movement and step has its own dynamics, duration and feel. Therefore a well-chosen music will enhance the movement. Whereas a badly chosen music will demolish the whole movement. Hence the dancer will be miserable trying to fit the steps to that music. Be sure that you do choose a ¾ music to accompany your waltz. Choose a music that has the uplifting dynamics to get your dancers in the air while jumping. Go with a beautiful slow and melodic music to get that wonderful port de bras action. A battement tendu requires a different dynamic than a rond de jambe. You can also imagine a fondu needs a different type of music than petit battements. 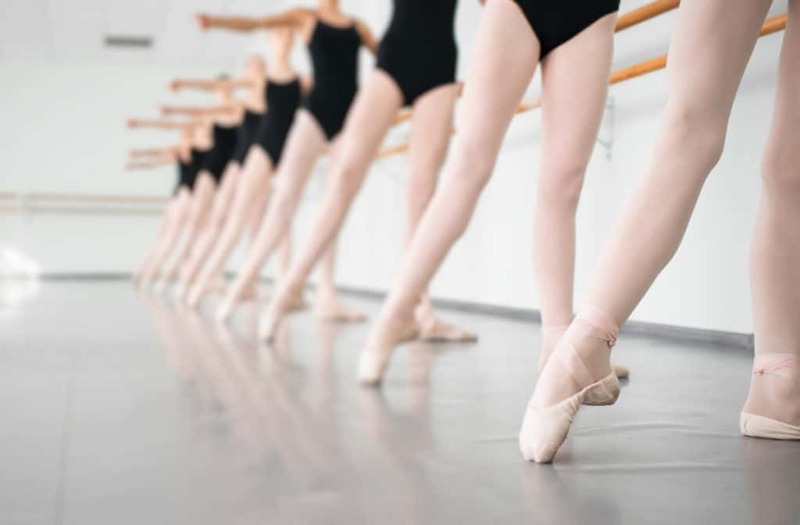 As a balletteacher you need to learn the differences and know them by heart. On Spotify you can find prefixed lists, carefully made by professional pianists who accompany balletclasses. You will see the name of the exercise written down, usually even with the metrics. Use this to your advantage. A battement tendu needs other music than a rond de jambe. And lastly, determine what speed you need for your students to be able to execute your exercise really well. So you can help them to become better dancers. Needless to say, do not use a superfast music in your beginners class. Give your students time to execute and enjoy the movements. However, be careful using music that is to slow. You want music that gives energy and impulse to move. Nowadays you can find the most beautiful lists of music on Spotify. If you don’t have an account yet, I highly recommend you set one up and be amazed at all the music available. Obviously you can also use Youtube, if you like. I remember fondly that I had to take along these books with cd’s with me to every class I would teach. A lot has changed in 20 years and for the better. Nowadays I just bring my phone and plug it in the available sound system and play. With so much available, it can be difficult to choose. I get that. So sometimes, just pick, and see how it goes. The more you teach, the easier it will get to see if somethings works or not. And if it doesn’t? No worries, quickly change to another music and (with a smile ) move on. Should you want to know more about his subject and discuss it with me? Then send me a message and I will be more than happy to talk about it some more. Previous: Previous post: Ideas for extra revenue for your studio.